Before the hair came the nose stud. One day in 2004, Sunali Pillay wore a nose stud to Durban Girls’ High School as a marker of Hindu culture. When the school stated that this was against its code of conduct, Sunali’s family and the school exchanged legal blows all the way up to the Constitutional Court. The provincial government backed the school, but the Pillay family eventually won. Fast-forward to Pretoria High School for Girls in recent days, and the school’s targeting of Afro-textured hair attracted intense criticism from not only students but the Gauteng provincial education minister, Panyaza Lesufi, and the country’s deputy president, Cyril Ramaphosa, among others. Why are formerly “white” schools still resisting change, and why are some politicians rushing now to denounce the school in such cases? One response might be that “African” hair is deemed a more legitimate political issue than an “Indian” nose stud. Crude leftist narratives, in contrast, might see the attention to race as a diversionary tactic designed to draw the focus away from elite schools’ incubation of “class apartheid.” However, neither of these explanations tell us very much about how the cultural politics of education is changing. Black intellectuals from W. E. B. Du Bois to Steve Biko to Frantz Fanon pioneered the study of whiteness to challenge the racism and cultural hegemony of white people. Not all white people benefit equally from whiteness, but white culture can be coded as modern, civilized, and superior, whereas blackness is presented as barbaric, backward, and illegitimate. Historically, whiteness was underpinned by colonialism and segregation, a high point of which was apartheid. In South Africa’s white suburbs, white-classified children were schooled in privileged, whites-only schools. In townships and rural areas, black people were schooled in overcrowded and underfunded institutions. Segregation, however, gave way to assimilation. Desegregation began in 1990 in public schools, but it had started more than a decade earlier in private schools. An ethos of assimilation meant that whites-only schools, especially English-medium schools, drew black students into the existing culture of the school. The promise of assimilation is one reason why white parents, before apartheid ended, voted overwhelmingly to launch desegregated (Model C) schools. White schools had seen their enrolment numbers drop sharply, and their instinct was that fees and selection tests would allow them to admit the “cream” of black students. White families, on the whole, still sent children to their local schools. That a shift took place from segregation to some form of assimilation is widely agreed upon in the schooling world. Yet we are now living in a third period of schooling change, which came in the late 1990s and was ramped up in the 2000s. This period is one of marketisation. But market forces are not blind to race; racism did not wither away but became entangled with school fees, maintenance costs, and bursary budgets. Over time, whites-only schools became afraid that they would appear to be “going black” and competed aggressively to attract white students. Some Afrikaans-medium schools used their language policy to exclude black students. 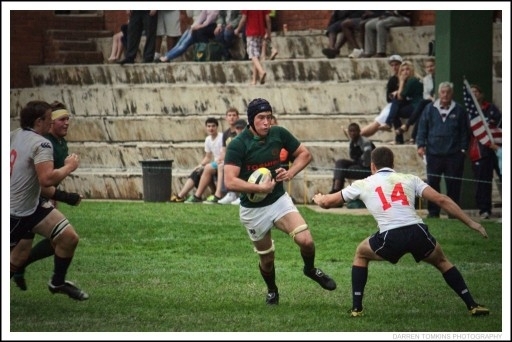 In predominantly English speaking cities like Durban, English schools eyed Afrikaans students as white learners ripe for recruitment—the most aggressive boys’ schools offering generous bursaries to students who showed talent at rugby. Demographics remain important in the marketplace, but prestige was also signposted by whiteness more generally. Cultural signals of whiteness—a school’s victory on the rugby field, its Model C accent, and its rejection of black hair—became key grounds on which schools fought to retain prestige. What seems on the face of it to be a continuation of policies of assimilation actually works through a different logic. Without prestige in a market system, schools fear that they would collect fewer fees, employ fewer governing-body teachers, see their matric pass rates decrease, and be unable to select desirable students. Preserving signs of whiteness means “doing the best for the school.” Not all schools followed this path, of course, and some teachers remained committed to transformation, but mundane rationalities came together with racialised histories to fuel racism in many institutions. To take the importance of school fees in Durban’s formerly white schools. From 2007-2012 average fees increased by over 40% to nearly R10,000 a year. Compare this to fees in formerly Indian and African schools, of R1,000 and R200 a year, respectively. But the growing financial gap among white schools is just as striking. Today, a short drive will take you from a public high school charging R8,000 a year to one charging R40,000 a year. Not only finances, but changing demographics can encourage schools to renew ideals of whiteness. By 2012 there were 140 white students on average in each formerly white school in Durban, and 300 black African students—the latter a doubling from 1999. Rather than acting as a united group, white schools became marked by acrimonious battles over the “poaching” of desirable students. And, in this marketised system, thousands of white children joined black children in travelling long distances to attend “better” schools. Desegregation became more uneven as white students with the means became concentrated in prestigious “whiter” public or private schools. It remains to be seen how Gauteng Province’s recent adoption of online applications will alter this dynamic. As the protests at Pretoria High and now in Cape Town at San Souci Girls’ High School show, black students have demonstrated whiteness to be fragile. Their actions are part of global struggles to show society that “black lives matter.” But high school students also draw energy from recent struggles in higher education. In 2015, #RhodesMustFall paved the way for #FeesMustFall. Challenges to decolonise universities stirred up new challenges to prevent economic exclusion. Very soon, the government will announce whether it will come up with the money to adequately fund higher education. Three vital questions follow. First, how will recent protests open up a wider cultural politics of schooling, including, for instance, the politics around less visible but equally powerful markers such as language? Second, will high school students follow in the footsteps of higher education students who extended their politics from one over decolonisation to one over fees, access, and equity? And third, will government officials, keen now to show their support to students, make the link between everyday racism and the marketisation of education?